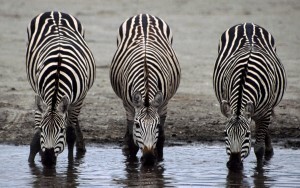 The odd-toed ungulates are grass eating mammals. Most of the odd toed-ungulates are plant-eaters. This group includes horses, tapirs and rhinoceroses. These mammals have hooves with odd number of toes. The middle toe on each hoof is also usually larger than the other toes. These animals are relatively large and have simple stomachs compare with the even-toed ungulates which have have complex stomachs to digest their plant-based food. This is a diverse group in these species. 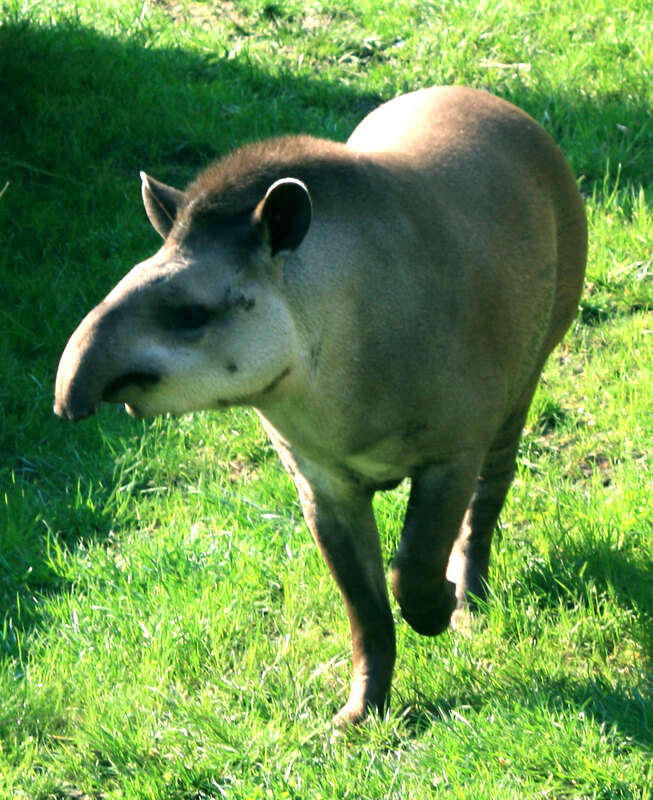 All modern odd toed ungulates are large animals, ranging in size from the smallest, the Mountain Tapir which is 180 kilograms (400 lb) to the largest White Rhinoceros which can weigh 2,200 kilograms (5000 lb) or more. Their massive body weight is borne by the large central or third toe. 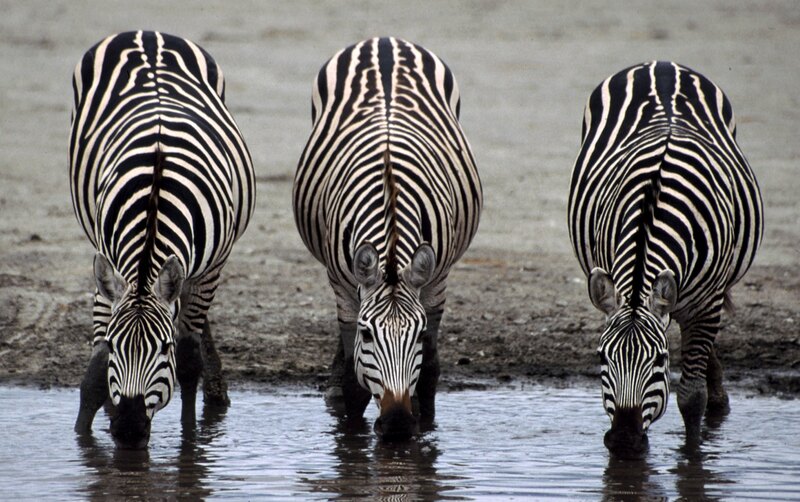 They can be found throughout Africa, North America, South America and Asia. Horses live in herds. 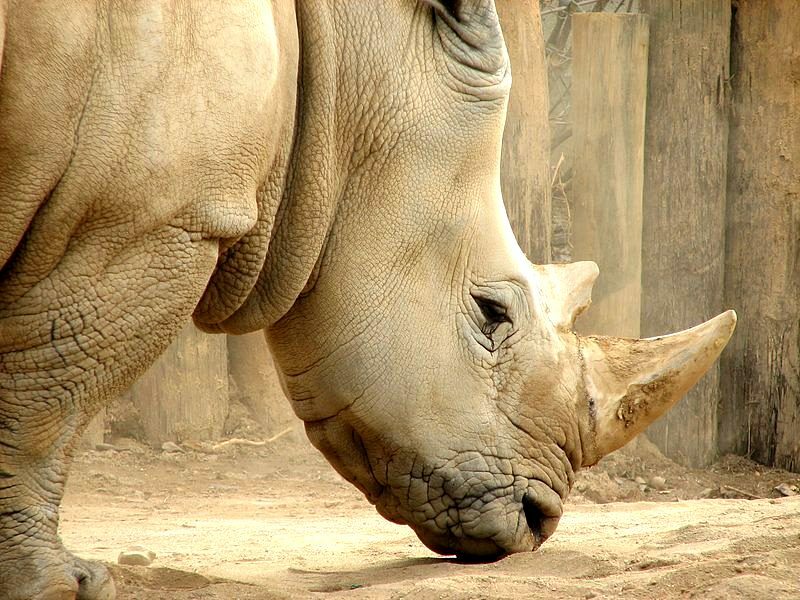 Modern day rhinoceroses like to live alone. They are territorial animals. 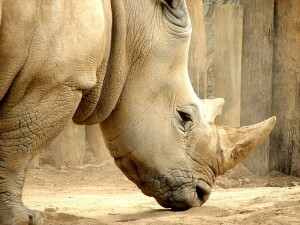 So, they will often attack another rhino which tries to invade their space. Tapirs are also solitary animals but they do not defend and attack other animals that invade their territory. They are shy animals. The female odd-toed ungulate tends to give birth to only one foal or calf at a time. She rarely has twins. The calf or foal is able to stand very soon after birth. But the calf or foal will still be very dependent on its mother. The young stays with its mother even after it stops taking milk. It will only leave its mother when she begins to chase it away. She does this when she is about to give birth to a new foal or calf. At this time, a young horse will join the herd. At later stage, young stallions are often chased away to be with the bachelor herds. For rhinos and tapirs they will wander away looking for new feeding grounds after being weaned by their mothers. Horses and donkeys were domesticated many years ago. But no rhinos have been domesticated. They are too big and aggressive! Some have been captured and put into zoos. The population of odd toe-toed ungulates is declining due to climate change, predators, diseases, coarse-leaved plants and competition from other plant eaters such as even-toed ungulates. Most species of odd-toed ungulates are listed as threatened species but no modern species is confirmed to be extinct. They tend to live longer in captivity. There are many breeding programs trying to maintain their populations in the wild. If the conservation efforts all fail, the only only two odd-toed ungulates left will be the domesticated horse and donkey.